Just 5k from the K Club you are assured of a friendly welcome in the village of Clane, a place steeped in legend and history. Recorded initially as a 1st century Liffey ford, it has been inhabited since the stone-age. 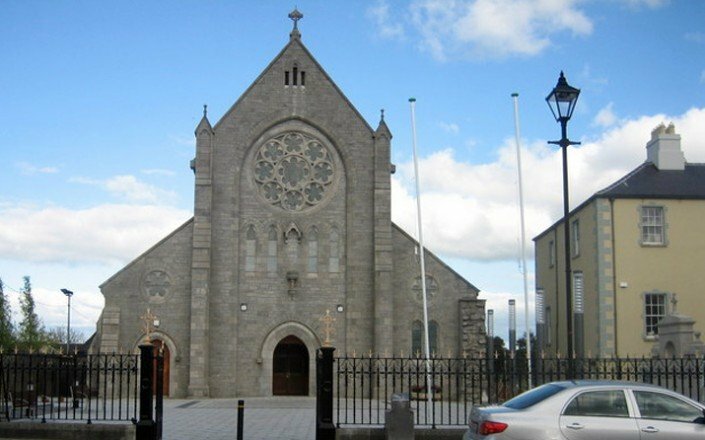 When St. Patrick travelled the Road of Kings from Naas to Tara he found a Christian monastery already established. The remains of a 13th century Friary are still extant and later Clane was on the “Pale” that divided British ruled Ireland from Gaelic Ireland. The main street of Clane today features a fine church and the old Abbey. 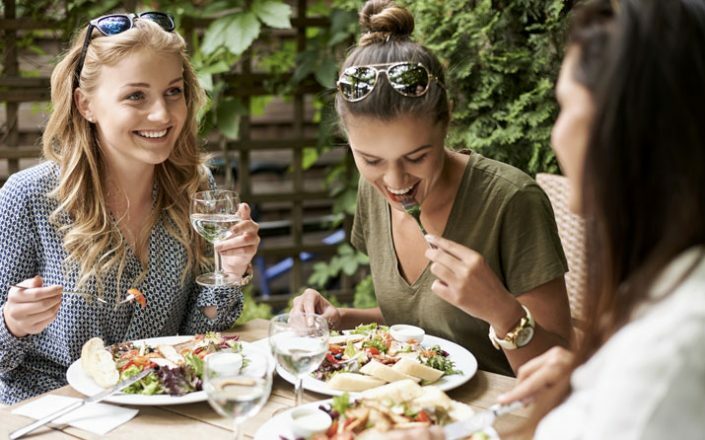 Clane is a welcoming, vibrant town with a great array of bars, cafés and restaurants. 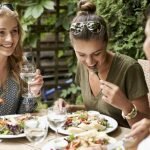 Clane is a haven of peace and tranquillity pleasantly situated on the River Liffey, less than 30 minutes drive from Dublin. The town most probably owes its origin to the foundation of an abbey in the sixth century. 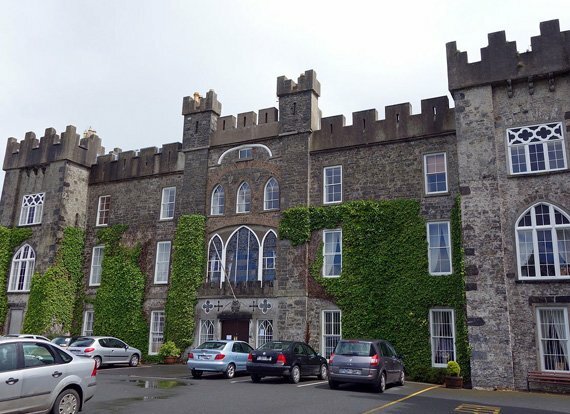 Clongowes Wood College, a secondary school run by the Jesuit Fathers is located nearby; James Joyce was educated there. Other places of interest include the Wogan Mausoleum and churchyard at Mainham. 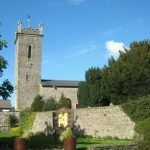 The beginning of the history of Clane dates from about 520 A.D., when St. Ailbe, Bishop of Ferns, founded an Abbey in Clane, and made St. Senchel the Elder its first Abbot. 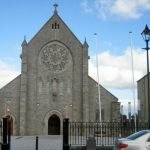 St. Ultan Tua, who used to put a stone into his mouth to prevent him from speaking during Lent, and his brother Fotharnaise, are said to have been buried in Clane. They were brothers of Maighend, Abbot of Kilmainham, from whom the parish and church of Mainham, near Clane, were probably called. The ruins of the Franciscan monastery founded at Clane by Sir Gerald FitzMaurice, 3rd Lord Ophaly, in 1272 still exist. In 1542 HENRY V111’s Commissioner granted the site and precincts of this House of Friars, manor or preaching-house of the preaching Friars of Clane to Robert Eustace, Roger Roche and Ed. Brown for £177. 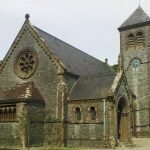 Besides about 70 acres of land in the neighbourhood -its only possessions consisted of a church, cemetery, chapter-house, dormitory, store, kitchen, two chambers, stable and orchard. The dormitory and other buildings probably stood on the north side of the Abbey Church, and have long since completely disappeared. 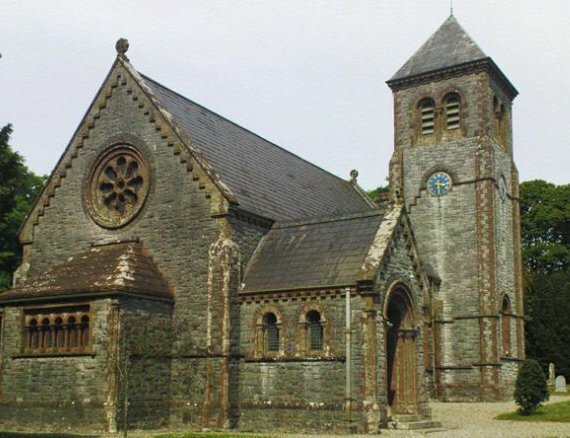 The parish of Clane has the unfortunate distinction of being the place where the rebellion of 1798 broke out; for it was at Prosperous that the temporary barracks occupied by some of the North Cork Militia, and a Welsh cavalry regiment called the Ancient Britons, were attacked and burnt; and Captain Swayne and most of the soldiers were slain. 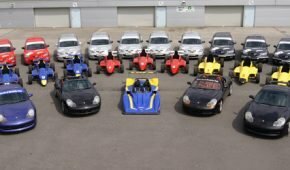 Clane is close to Mondello Racing Circuit , home to Irish Motor Racing. 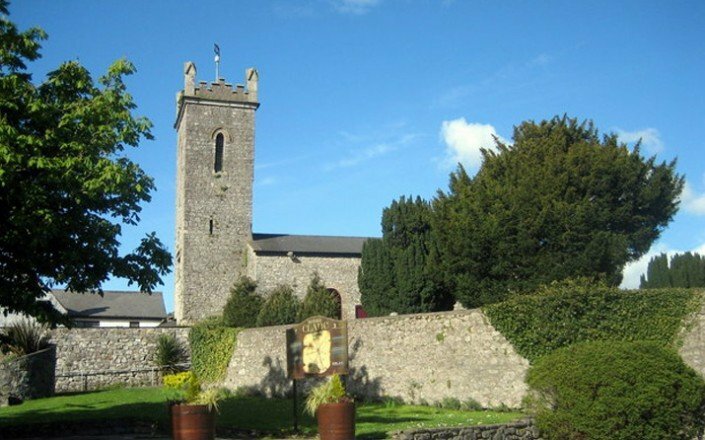 The beautiful church of St Michael & All Angels stands in the townland of Millicent, about a mile outside the village of Clane. Consecrated in 1883 and built in the Hiberno Romanesque style, it contains stunning art work, including examples of Cloissone and Scraffito. For anyone interested in the Victorian Arts and Crafts Movement and the work of Clement Heaton and Sumner, a visit is a must. However, an educated eye is not necessary for someone to appreciate this gem of a building and the Treasure it contains. 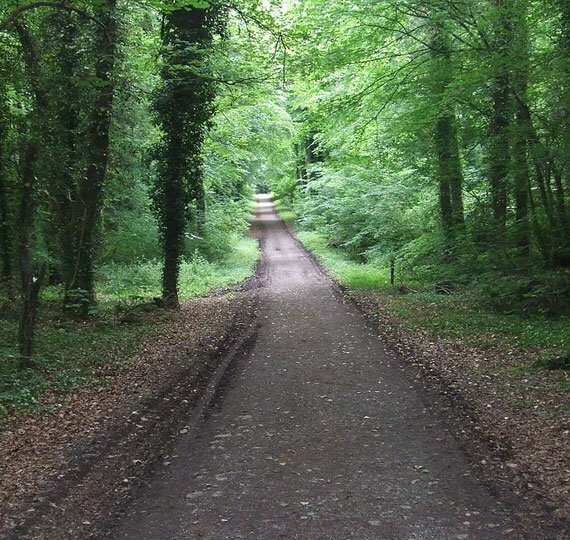 Located on the road to Kilcock, this park is situated in the lush lands of Kildare and is fairly typical of demesne landscape. It comprises mixed woodland. 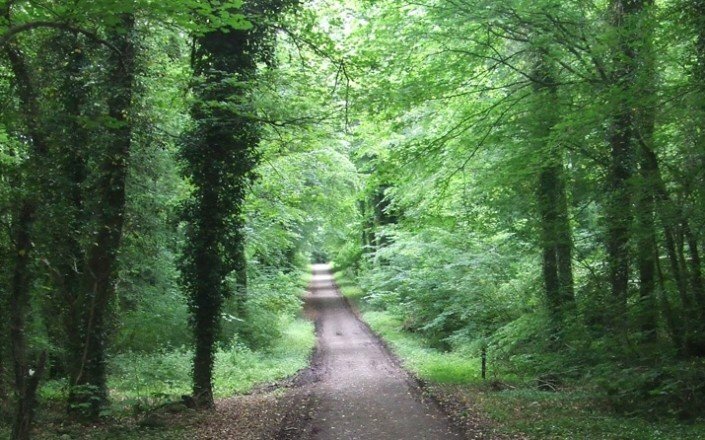 The nature trail is somewhat less than 2.5km long and winds through the various natural and man-made elements that make up Donadea. 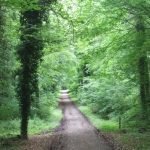 There is also the short Shrubbery Trail, only 300 metres long, which has been laid through the collection of trees and shrubs planted in the last century. There is a magnificent grove of beech, approximately 150 years old, which covers an area of 1 hectare. Both the red and grey squirrels can be seen. On the lake the most common duck, the mallard can be seen all year round. 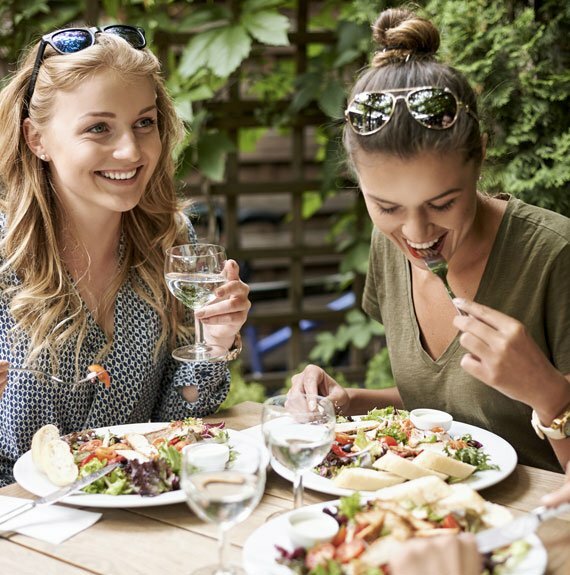 The facilities include a car park, picnic site, toilet and a variety of forest walks. A shop opens during the summer months. 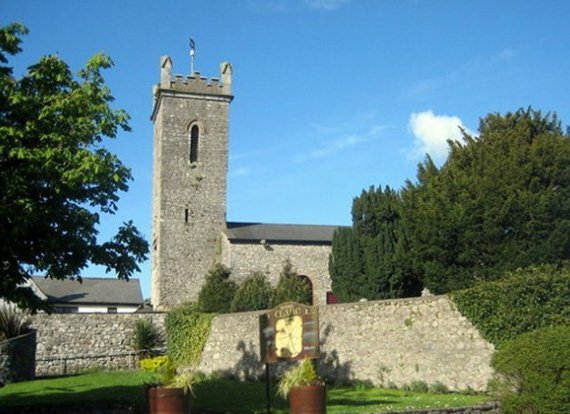 The ancient Parish Church of Bodenstown is now included in the Parish of Clane; its exact resemblance to the stone churches of the Anglo-Norman settlers in Gower, South Wales. As late as 1615, Bodenstown Church and chancel were returned in the Royal Visitation Book as in good order, as were also the Service Books. 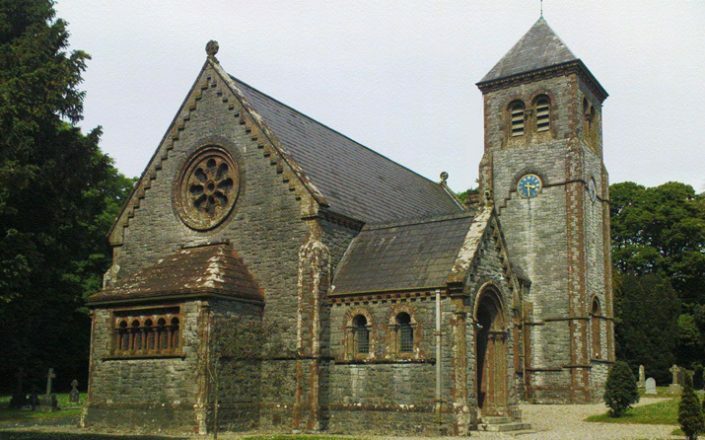 At that date the chancel of Clane Church was in ruins; and church and chancel of Sherlockstown were both ruined. Bodenstown is annually the scene of a political pilgrimage held on the last Sunday in June. On that day, visit is made to the grave of Wolfe Tone. His grandfather held land on lease from Mr. Wolfe of Blackhall. Part of the house in which he lived, near Clane, was still standing in 1876. Thoebald Wolfe Tone, born in 1763, was named after his foster-brother, one of the Wolfes of Blackhall. His brother, Matthew Tone, eight years younger, tried in 1790 to establish himself as a cotton manufacturer in Prosperous, but failed. He shared his brother’s political aims, and was executed in Dublin, and buried at Bodenstown in 1797. 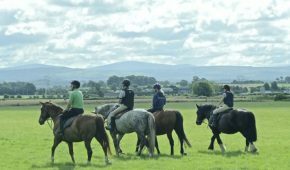 Located in Clane this equestrian centre caters for people of all ages and for all levels. Private tuition can be arranged as well as the opportunity to hunt. A must for all horse enthusiasts.